Pull out all the stops with this incredibly detailed The Joker Costume including Jacket with attached Shirt and rubber Mask! One of the most instantly recognisable film characters of recent years; this The Joker Costume from the second movie of the Batman trilogy; The Dark Knight, is ideal for anyone look to cause mischief, perfect for Halloween, Film or Villain themed fancy dress occasions! The long-length purple jacket has blazer-style collars and an attached green shirt front with a printed tie. Adding the final touches to this costume is the striking rubber mask. The bright colour and incredible detailing on the mask will make it difficult for fellow party-goers to miss. 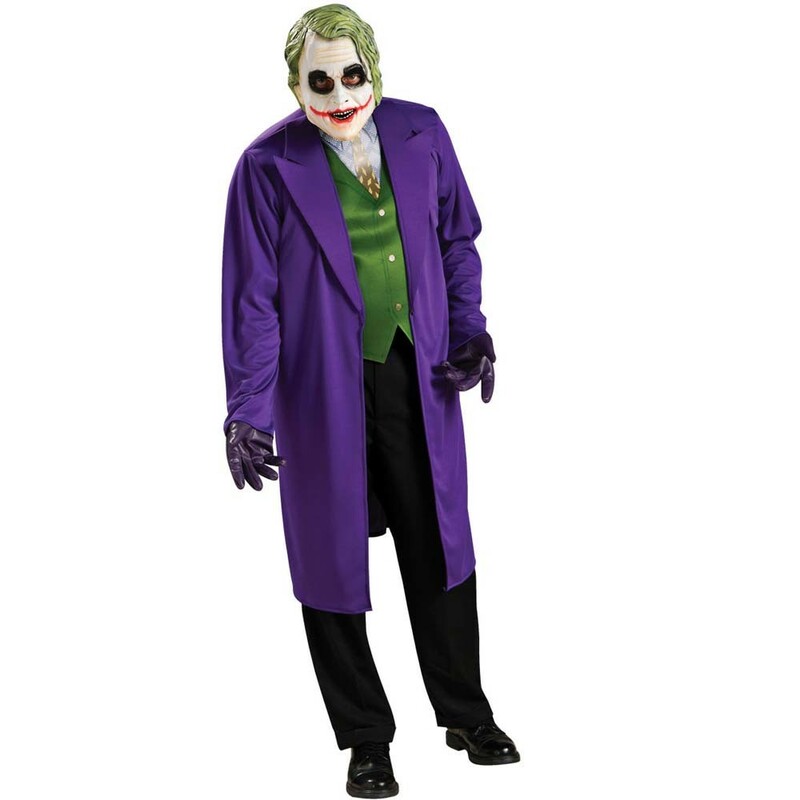 An unforgettable outfit; this The Joker Costume is ideal for any Villain, Halloween or Film themed party! Jacket (with attached Shirt) and Mask. Please note: Gloves are NOT included but can be purchased separately.